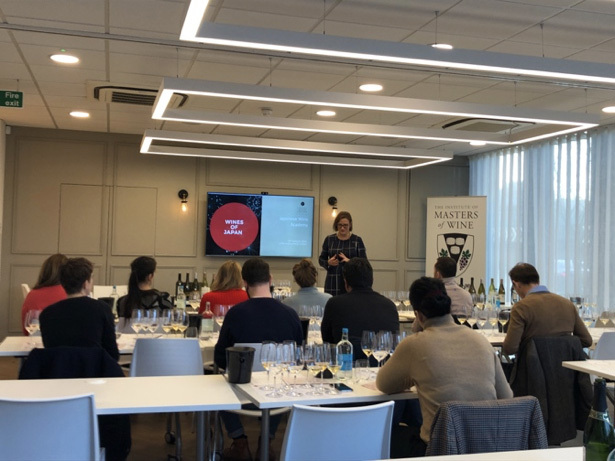 The prestigious Institute of Masters of Wine gave the perfect backdrop to host this unique half day training course & tasting in JFOODO’s first ever Japanese Wine Academy. The Academy was created to give members of the wine trade a broad overview of Japanese wine history, context and relevance. Swirl Wine Group designed, researched and created a structured presentation delivered by Sarah Abbott MW. 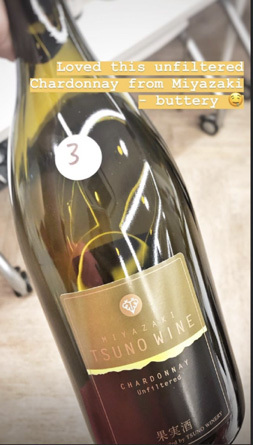 Each wine was chosen as example of a particular aspect of Japanese wine, such as the different prefectures, grape varieties, producer structure, and approach. This extended masterclass provided information on the history, terroir, grapes and wine producing regions of Japan. Nine wines were selected to showcase the different grapes, winemaking styles and regions of Japan with technical details of each wine woven into the presentation. Wines were selected to show the diversity, versatility and relevance of Japan, with a. range of styles (sparkling, white, skin contact, red). 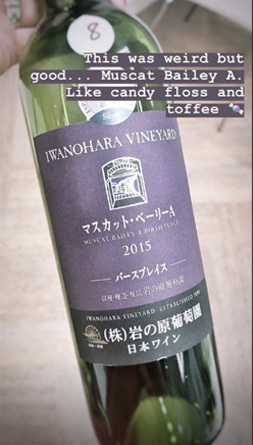 The range of grapes showed was chosen to include both Japanese specialties (Koshu and Muscat Bailey A), and international quality bearers (Chardonnay, Semillon, Merlot). Wines were chosen to illustrate the different types of companies making wine in Japan, from large wineries with the potential to build the market (such as Manns and Mercian), to family wineries of smaller production (such as Marafuji, and Lumiere). The different approaches to viticulture and vinfication in Japan, including sustainability and new viticultural developments were discussed during the presentation. 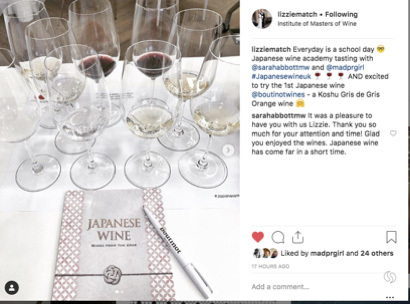 An intimate group of influential sommeliers and independent wine merchants and on-trade sales people, as well as personnel from importers already distributing Japanese wines attended. 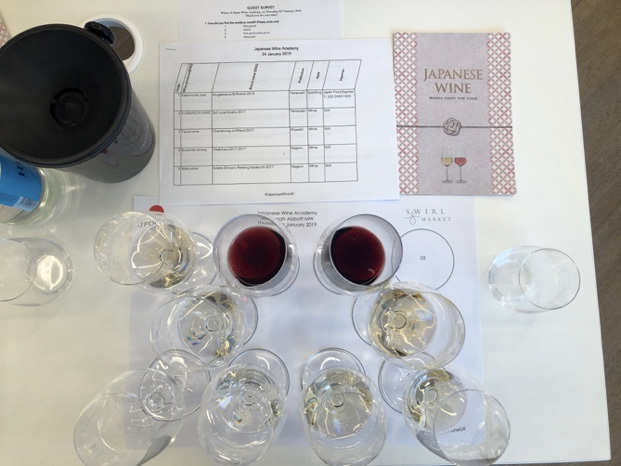 “The masterclass was really great – a fabulous introduction to Japan Wine!